There’s been a need for executive coaching in India for a long time. More-so now than ever before because of the pace of change in the corporate world and people’s expectations from their work. Given the talent crunch that most HR managers complain about, specially at a senior level, executive coaching helps address a need which is hugely resonant among CEOs and top-level managers. Also, research often highlights that a “bad/uninspiring” boss is the most frequently cited reason for people quitting. Executive coaching helps develop “good/inspiring bosses”. India is fast leaping into a new generation of economy, where the proliferation of new industries and the expansion of the existing ones has led to an unprecedented demand for highly skilled/experienced talent. With investments in these businesses at an all time high, the dependence on people performance has shot up dramatically. The methods used to nurture talent base need to be in synch with the new dynamics. Today’s professional has changed from the earlier generations. He is far more aware of the unprecedented choice of job and career options. He therefore, looks for meaning beyond the hygiene factors of compensation. It is thus, critical to understand this professional to enable the organisation to leverage his true potential. “Coaching worldwide has managed to be a critical intervention in connecting best with the new- age professional, and India seems to be ripe for a similar movement,” avers Abhijit Pradhan, founder & chief explorer, Superstar Business Solutions. “Businesses also need new and innovative strategies more than ever to succeed in the market place of today. 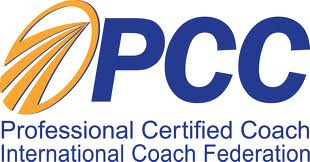 Executive coaching can prime their most important assets – to take up that challenge,” adds Pradhan. So how does executive coaching help drive an organisation’s business objective? Coaching helps create OWNERSHIP within key talent. It then helps the candidate translate that ownership into ACTION. All this is under the ambit of the overall organisational business goals. Coaching is sensitive to business realities and helps the individual find his answers and strategy in achieving those goals. “Coaching is based on the belief that people have great potential and that they achieve what they believe. With this in mind, executive coaching is offered to senior people in the corporate world with the overall purpose of utilising the full potential of their senior people,” says Prof. Rooshikumar Pandya, a pioneer in the fields of communication, stress management, and therapeutic suggestions. Executive coaching differs from a typical HR training. It is a form of leadership development that works one-on-one with an individual (usually senior management); to help them truly get on the mission/vision of an organisation, by addressing hurdles/obstacles they face (could be attitudes, challenging behaviour of peers/subordinates/senior etc). In turn, the coached individual is able to inspire and motivate his/her own team to deliver results, thus, build a winning team. Created by Isabel Briggs Myers and her mother, Katharine Briggs, they developed their model and inventory around the ideas and theories of psychologist Carl Jung, a contemporary of Sigmund Freud and a leading exponent of Gestalt personality theory. The MBTI® indicator is based on 20 years of research and is one of the most widely-used psychometric profiles world-wide. It describes 16 types of people. Your “type” consists of four letters that represent your four preferences. It is not a test, therefore, there is no right or wrong style. The Indicator questions deal with the way you like to use your perception and judgment-the way you gather information and make decisions. There are four separate preference scales and two opposite preferences on each scale. The four scales describe where you like to focus your attention (E or I), the way you gather information (S or N), the way you make decisions (T or F), and how you deal with the outer world (J or P). E (Extraversion) means that you probably relate more easily to the outer world of people and things than to the inner world of ideas. I (Introversion) means that you probably relate more easily to the inner world of ideas than to the outer world of people and things. S (Sensing) means that you probably would rather work with known facts than look for possibilities and relationships. N (iNtuition) means that you probably would rather look for possibilities and relationships than work with known facts. T (Thinking) means that you probably base your judgments more on impersonal analysis and logic than on personal values. F (Feeling) means that you probably base your judgments more on personal values than on impersonal analysis and logic. J (Judging) means that you probably like a planned, decided, orderly way of life better than a flexible, spontaneous way. P (Perceiving) means that you probably like a flexible, spontaneous way of life better than a planned, decided orderly way. Developing Self Awareness: Having knowledge of our preference type develops our self awareness and an understanding of the differing personalities of those around us. We learn to recognize different styles in each person and develop a greater tolerance for different preferences and ways of working. It encourages us to focus positively on our strengths and understand development needs. Building Strong Relationships: Knowing your MBTI type and that of others in your life can help you appreciate and improve the quality of relationships with your colleagues, boss and direct reports, as well as family, friends and partners. DiSC is a model of human behavior that helps to understand “why people do what they do.” The dimensions of Dominance, influencing, Steadiness, and Conscientiousness make up the model and interact with other factors to describe human behavior. Each of us has developed a distinct way of thinking, feeling and acting which becomes our behavioral style. Our unique patterns distinguish us from one another, and express our individual identities just like our thumbprint. Each DiSC style has great strengths, and potential limitations if overused. The true essence of DiSC is learning about behavioral diversity and Emotional Intelligence. Individuals can learn to adapt their behavior, and move from judging those who are different from themselves to honoring, valuing and respecting others. Acknowledge, Accept and Appreciate differences. The original DiSC model was originally based on the 1928 work of Dr. William Moulton Marston at Columbia University. “The Emotions of Normal People,” which introduced the DiSC model to the public. Marston, a contemporary of Carl Jung, defined four categories of human behavior style, type, or temperament which are Dominance, Influence (Inducement), Stability (Submission) and Compliant, Conscientious or Caution. Marston used compliance. Even though Marston developed the D.I.S.C model, the DISC test or assessment, to prove his theory of the emotions of people within their environment, he never copyrighted his disc profile test. Thus DISC is available in the public domain. Later, the work of Marston was researched and updated by Dr. John Geier and Inscape Publishing at the University of Minnesota. The DiSC model and its complimentary assessment tools have helped over 50 million people in 20+ languages over the last 40 years. As an added bit of trivia, Marston is known in many circles for his work in developing the lie detector test. He was also the creator, writer and producer of “Wonder Woman” which introduced into comic strips, the role model of a strong female. For many curious, just like me high C styles, the lower case “i” in DiSC is an Inscape, trademark – originally a printers error. Being flexible and adaptable, Inscape, Carlson Learning Company, Performax decided to copyright the mistake and create their version of DiSC, using the small i. So if your version doesn’t have a lower case “i” it is not from Inscape. Many parents made the mistake of giving love and approval to their children only when their children did something that they wanted them to do. A child who has grown up with this kind of conditional love tends to seek for unconditional approval from others all his or her life. When the child becomes an adult, this need for approval from the parent is transferred to the workplace and onto the boss. The adult employee can then become preoccupied with the opinion of the boss. This preoccupation can lead to an obsession to perform to some undetermined high standard. Doctors Rosenman and Friedman, two San Francisco heart specialists, have defined this obsession for performance as “Type A behavior.” Experts have concluded that approximately 60% of men and as many as 30% of women are people with Type A behavior. This Type A behavior can vary from mild forms to extreme cases. People who are what they call “true Type A’s” usually put so much pressure on themselves to perform in order to please their bosses that they burn themselves out. They often die of heart attacks before the age of 55. This Type A behavior, triggered by conditional love in childhood, is a very serious stress-related phenomenon in the American workplace. Here are two things you can do immediately to deal with the fear of rejection, criticism and disapproval. First, realize and accept that the opinions of others are not important enough for you to feel stressed, unhappy or over concerned about them. Even if they dislike you entirely, it has nothing to do with your own personal worth and value as a person. Second, refuse to be over concerned about what you think people are thinking about you. The fact is that most people are not thinking about you at all. Relax and get on with your life. The use of Executive Coaching for individuals within the organizations is on an increase – recent surveys conducted by The School of Coaching and the Charted Institute for Personnel and Development in the UK indicate that between 92 and 97% of organizations use coaching services. However only a few organizations are fully committed to developing a coaching culture to create a new way of management. Some pioneering ones have adopted this new style but many others are still struggling and trying to keep in toe. They more often than not find themselves slipping back into the pattern of command and control management habits. Improved performance and productivity – given that coaching brings out the best in individuals and teams. Improved relationships – since the questioning style he (read-manager coach) advocates clearly values the coachee and his/ her answer. More time for the manager – based on the argument that those who are coached welcome responsibility and do not have to be chased or watched. Greater flexibility and adapability to change – given that coaching is about being responsive as well as responsible. A further point is added to the benefits listed above by Bernard Redshaw, an independent management training consultant, who claims that when good coaching is widespread, the whole organization can learn new things more quickly, and can therefore adapt to change more effectively. So what is the much talked Coaching Climate all about? The new buzzword. Coaching Climate / Coaching Culture. What is it? *** Instead of being reluctant to admit to something that did not go well, the exeutives are willing to “tell on themselves” suggest solutions, and share what they’ve learned. *** The executives no longer shirk from challenging projects, instead they operate from a feeling of empowerment to step up, knowing that others will help them be successful. *** Feedback is the backbone of such a culture, executives know just the right way to give it and more importantly they recieve it in a mature, responsible manner. Does your company have a Coaching Climate? A climate which shouts “We” instead of “Me”! !